Roast Cod with Garlic Butter Recipe – VERY easy and good; would make again. 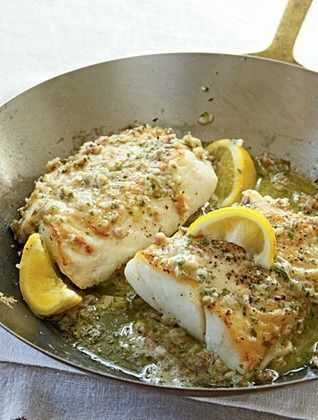 Use real lemon (and less of it), more garlic, and maybe dust the cod in floor before cooking. Also, a drizzle of oil ontop of the fish before baking.